Times have changed! Mothers’ having primary custody of the children is not always the accepted social presumption as in the past. Courts, legislatures and juries are becoming more aware of the vital necessity of father’s being involved in the lives of their children. Children with positive father involvement have fewer behavior problems, higher levels of sociability, and perform better in school. Recent research suggests that father involvement is essential to a child’s social, moral, and physical growth during the adolescent period. A father’s involvement during pregnancy affects multiple areas of child development and family well- being, from prenatal care, to the likelihood that the father will provide ongoing financial and emotional support. This body of research is gaining momentum. Local and regional governmental agencies are focusing more and more on parental father involvement in the lives of children. As a result of the continuing evolution of fathers’ rights, Courts are now recognizing a father’s ability to care for his children as an equal to that of the mother. Starting out on an equal plane, the Court may look to which parent is more stable, has a superior income, has a parenting plan in place for the child and is capable of providing proper child care and spending more quality time with the child. 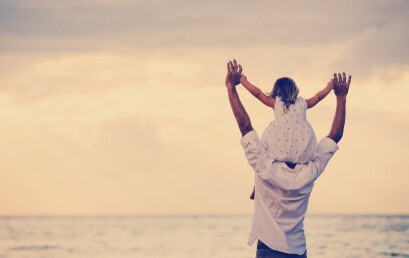 As a father, how can you increase your chances of getting child custody in Texas? You must be a good father and spend time with your children by involving yourself in their daily lives. You need to be responsible and reliable to the needs of your kids. Know and participate in all aspects of their lives. This includes school activities, doctor’s appointments, extracurricular events and getting to know and bonding with their friends. Reflect on your own personal experiences as a child growing up and think about what was really important to you and your parent’s interaction during that period. If a father voluntarily gives up rights to his children based on prejudices of the past in the Court system, he will feed a mother’s confidence and sponsor unnecessary ongoing litigation. The number one mistake made by fathers in the court system today is a failure to take the time to learn how the system works. Failing to learn how the family law system works may doom your case. Once you have learned the ins and outs of the family law system you will need to form a viable plan, set goals and never relent in enforcing your rights as a father. Five of the biggest mistakes men make in a legal action are: 1) failing to respond to the legal action itself; 2) obtaining incorrect legal advice (from friends and family rather than a legal expert); 3) signing a settlement agreement that is not in agreement with and later deeply regretting it; 4) failing to perform under the actual settlement agreement signed; and 5) getting frustrated and/or acquiescing to unreasonable demands and orders. Who has the financial ability to best care for the child(ren)? Be sure to have income tax verification, W-2 Forms and other financial information available. Form a parenting plan (child care, after school care, transportation, pediatrician, etc.). Who is more stable and/or can provide the best home for the child (ren)? Where has the child (ren) been attending school? Is it possible to keep the child in the same school district? Prepare a chronology of events leading up to the divorce including treatment of the child(ren), time spent with the child(ren), activities with the child(ren), the child(ren)’s schedule. Consider if a home study should be prepared regarding each home of the child. Consider whether a psychological evaluation should be done on the mother? Is there an alcohol or other addiction problem in the home? Who can provide the best moral upbringing for the children? Is there evidence such as pictures, video tapes, etc. that may help your case? Avoid unnecessary compromising photos or data on Facebook or other social networking sites. List any other relevant issues you feel may be important to your child custody case before you meet with an attorney about your rights as a father.